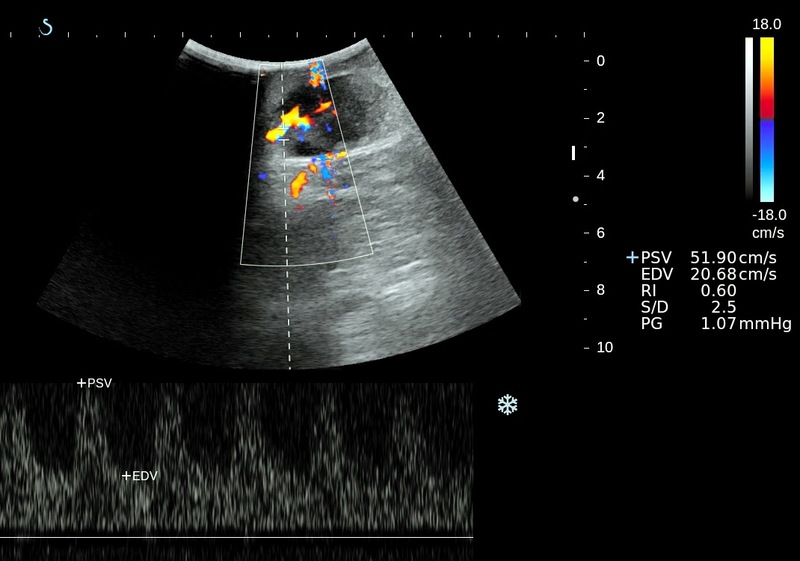 Woman 61 yo detected at right inguinal scarpa a small tumor slowly growth, no painful, size of about one egg. Clinical palpation was subcutaneous, hard nodule, fixed to deep layer. 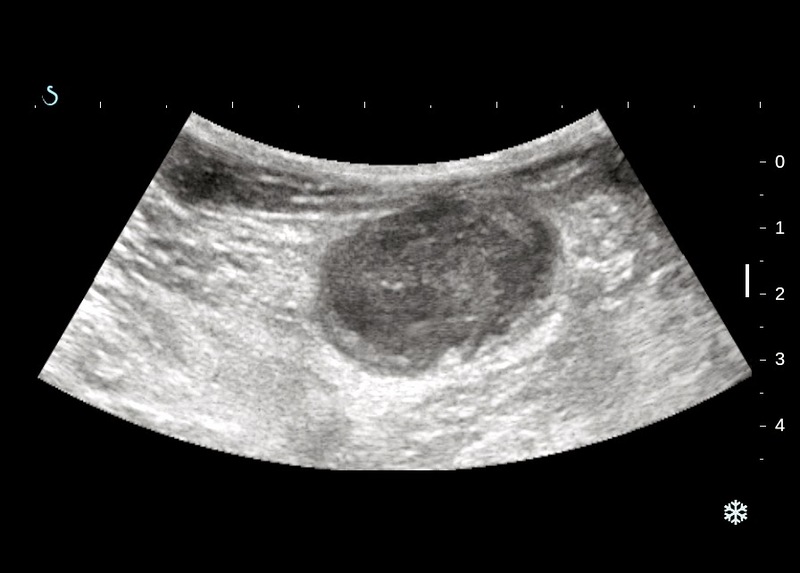 Ultrasound scanned it was a round mass , size of 5 cm in diameter, well-bordered, inside structure was solid and inhomogeneous ( US picture 1). 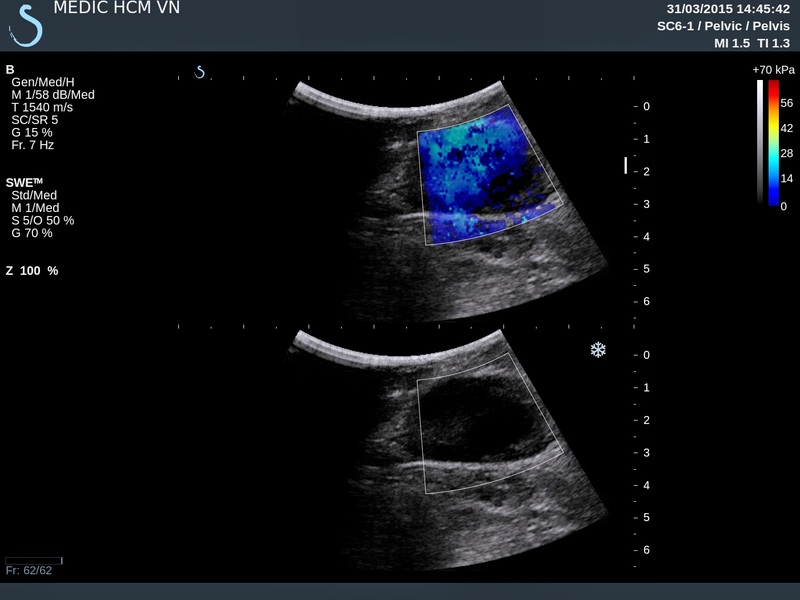 Doppler scanning detected hypervascular with hilus, vascular supplying of a lymph node (US picture 2), and Doppler spectrum of hilus artery was pulsatile , V1= 52 cm/s and RI=0.6. 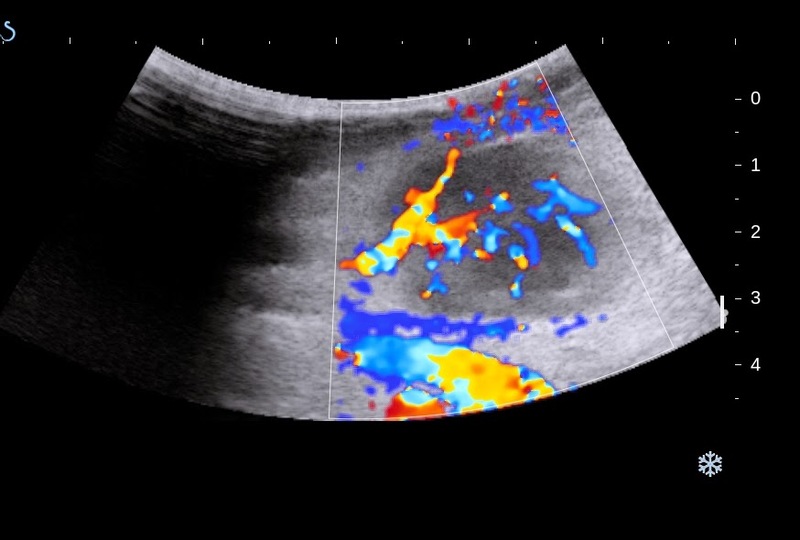 Elastography ultrasound was a soft mass, inhomogeneous structure. 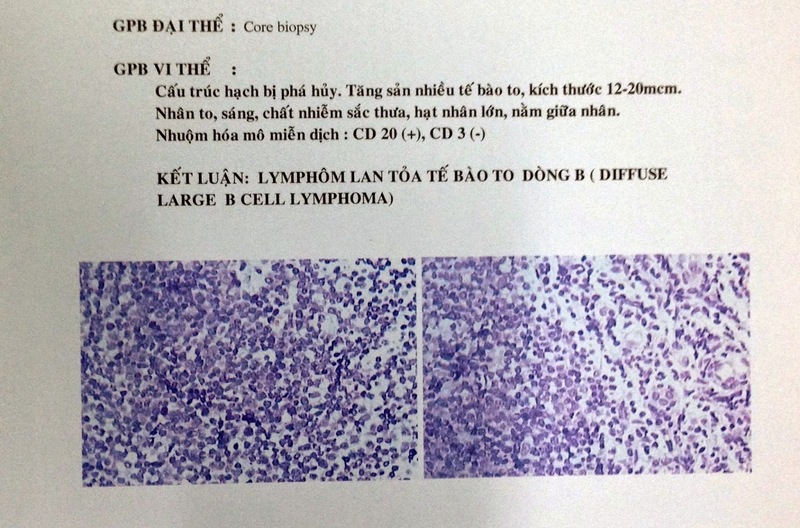 Sonologist cannot find another abnormal lymph node at another side, and report suspected inflammation lymph node. Blood tests WBC, CRP, beta2 microglubuline were normal. Core biopsy with immunohisto staining report was lymphoma.